There are many social media channels out there, but few can rival Facebook for its potential as a business-generating platform. In fact, 62% of marketers say they would pick Facebook over any other social media platform available. But the real advantage for businesses is the depth and breadth of Facebook’s analytics. With the right Facebook analytics tools, you can get a deep understanding of what makes your audience tick and how to connect with them on a meaningful level. To help you decide which tools are right for you business, we’ve compiled a list of the best Facebook analytics tools on the market in 2018. 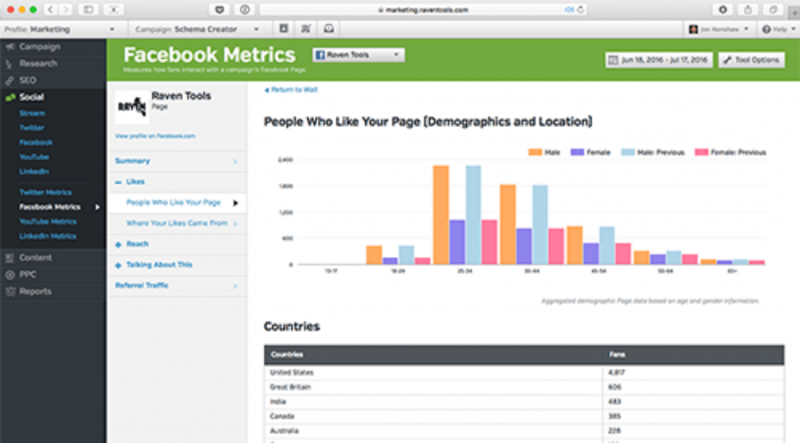 In our opinion, of course, our platform provides the best Facebook analytics tools available to B2C marketers. We track a wide range of Facebook metrics at both the post and campaign level for organic posts, boosted posts, and ads. Track the performance of your Facebook ads and organic content side-by-side — including reach, impressions, interactions, clicks, conversions, referral traffic, and more. Optimize your Facebook ad spend against competitors with our proprietary paid content detection alerts. Connect your Facebook marketing activities to brand awareness and website performance. 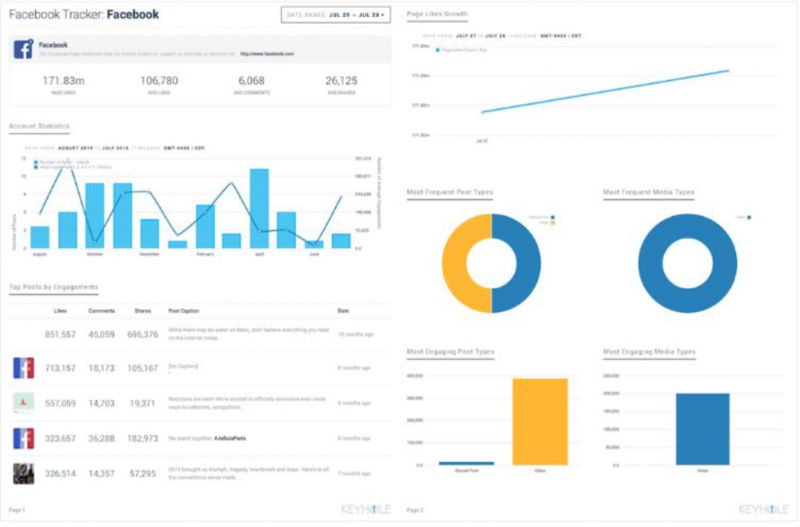 TrackMaven’s biggest advantage is that it can use data to deliver actionable insights and help you measure the impact of your Facebook marketing strategy against business goals. It’s a comprehensive tool that can improve the Facebook presence of any data-driven marketing organization. Request a demo to learn more. 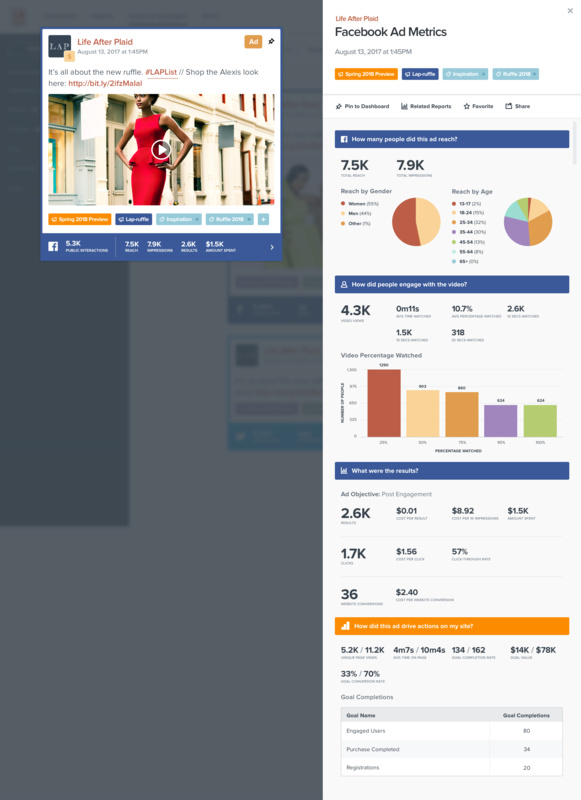 Have you ever gotten tired of having to run the same Facebook Insights report over and over? RavenTools eliminates that problem by allowing you to set up customized, automated reports that are delivered straight to your inbox. These reports can be scheduled to release in whatever intervals you need, whether it’s weekly, monthly, or quarterly. 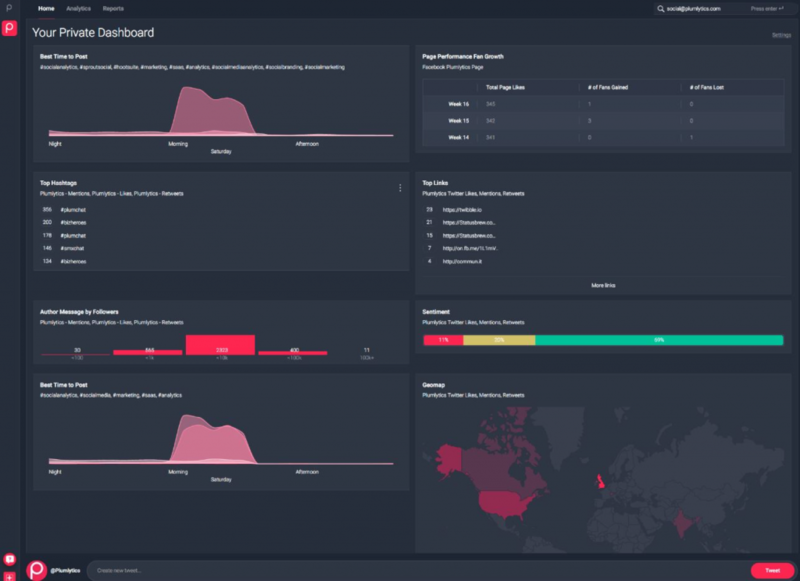 While it’s not a dedicated Facebook reporting tool, Cyfe’s main advantage is its ability to easily create powerful dashboards based on whatever metrics you require. 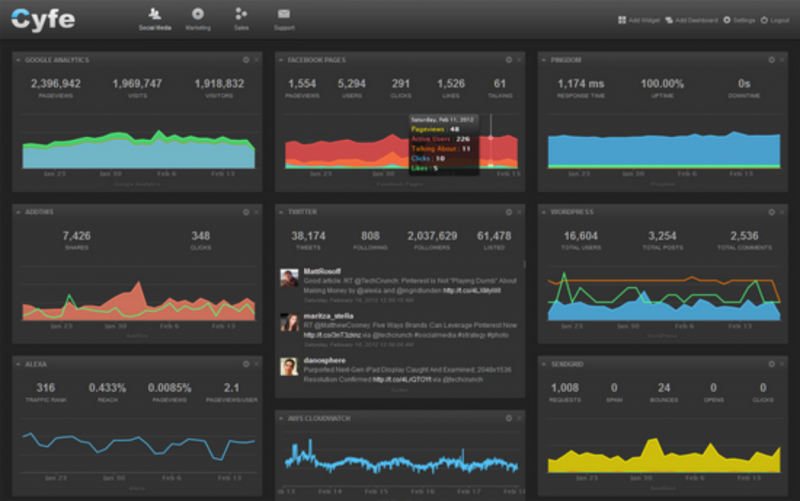 Dashboards are assembled using a collection of widgets, which are self-contained windows that display specific reports. Each widget can have its own unique function, so that you can create a truly flexible and effective dashboard for monitoring Facebook analytics. Ever wonder what your Facebook fan base is really like? With sociograph, you can find out. It’s a dedicated Facebook page analysis tool that tracks interactions across both Pages and Groups so that you can measure the growth in your community, identify the most vocal advocates, and compare activity levels between your community and your competitor’s. The free version offers basic user monitoring, but the paid tool offers the most bang for your marketing analytics dollar. 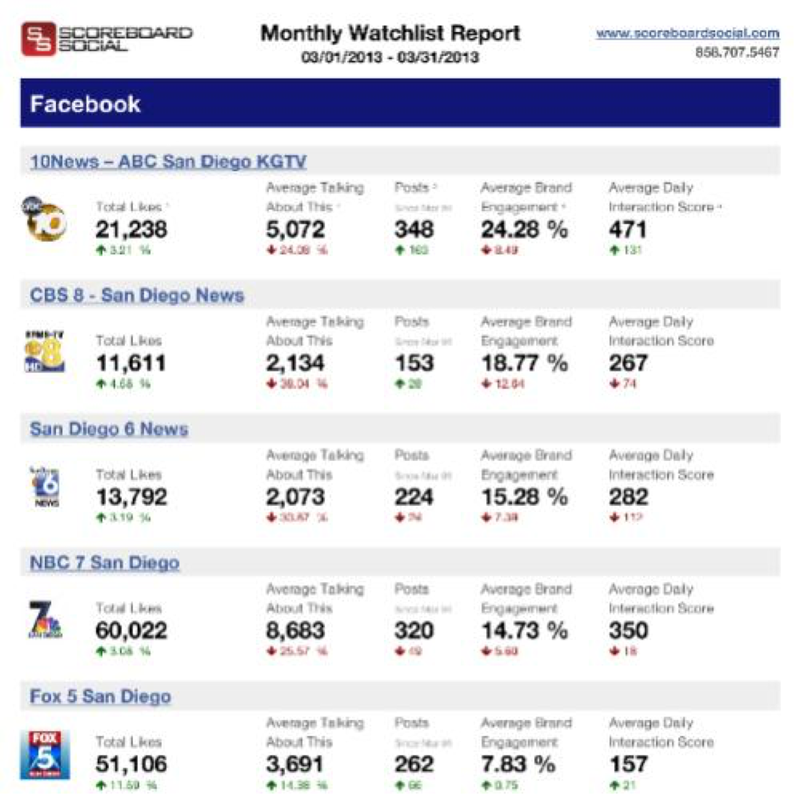 Scoreboard Social is an external-facing tool that emphasizes Facebook competitor analysis. Once you’ve entered your Facebook page URL, Scoreboard Social will compare your page’s performance against that of competitors and industry leaders. You will then receive weekly emails that show how you stack up against others in the areas of growth, follower trends, and engagement metrics. Are your most vocal followers scattered across multiple Facebook Groups? If so, then Grytics is a solution worth exploring. 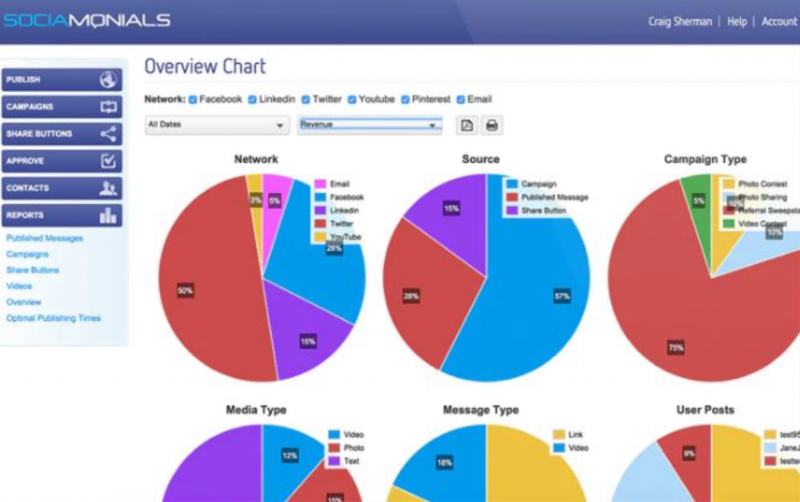 Grytics is a SaaS solution that helps community managers and marketers to track and analyze Facebook group performance. It also collects member statistics to help you better understand your target audience, and highlights your most vocal advocates within each group. This social media marketing and scheduling tool has a robust Facebook analytics feature that makes it a shoe-in for this list. SocialPilot’s Facebook analytics features provide key metrics that allow you to compare current status with previous benchmarks, so you can see the progression of your social media following over time. In addition to Facebook, SocialPilot also covers Instagram, Twitter, Linkedin, and more. 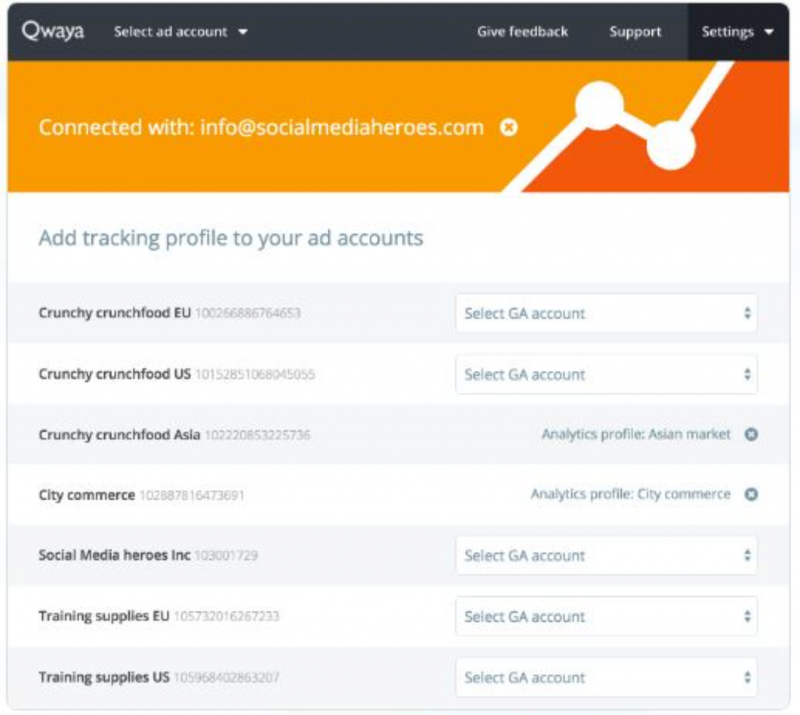 Qwaya is a solution specifically meant to manage and track Facebook and Instagram ads. It allows you to embed tracking pixels within any of your ads so you can easily monitor impressions, performance, and conversions. It’s reporting component is based primarily off of Google Analytics and includes many of the advantages that platform provides. 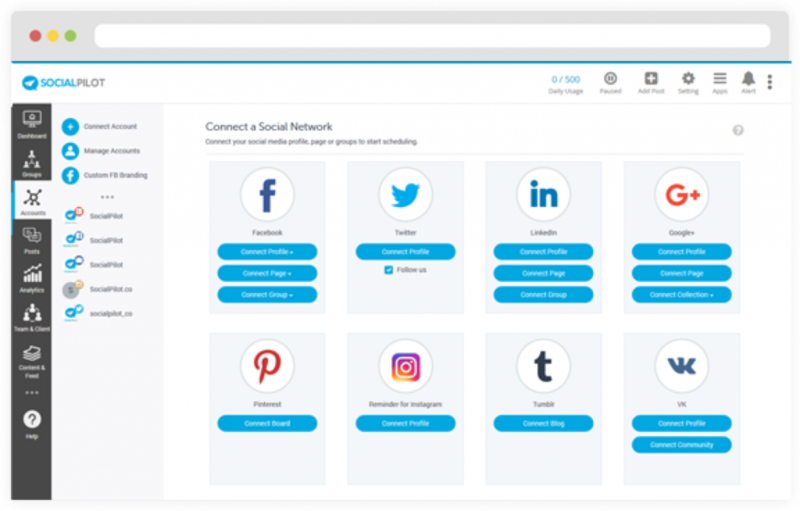 Sociamonials is a campaign and social media management platform that has a powerful reporting and analytics component. One of its best functions it that it can act as a kind of Social CRM, which identifies your best and most vocal advocates online and shows you how much revenue, leads, and website visits their efforts have contributed to your campaign. The Social CRM even provides links to their social accounts for easier influencer outreach efforts. 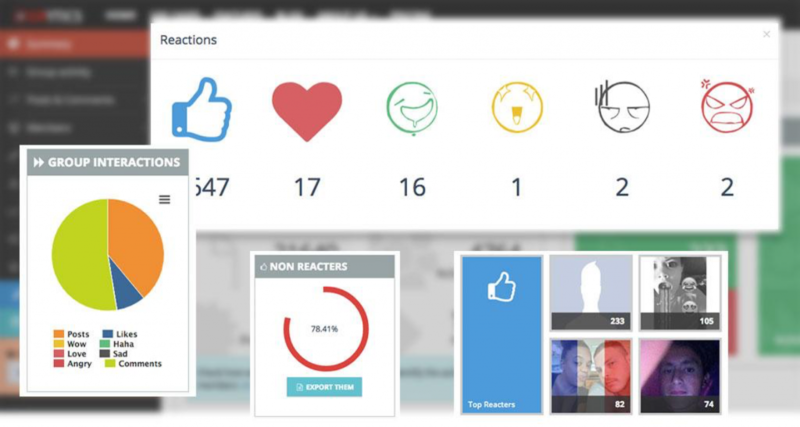 Plumlytics Social is an all-in-one social media management tool that combines content publishing and audience management with a useful dashboard that contains a mix of helpful social media analytics reports. These reports are good for getting an overview into each of the four key areas of Facebook metrics, namely: brand monitoring, performance monitoring, competitive intelligence, and social listening. Keyhole’s main claim to fame is as a hashtag tracking tool for Instagram and Twitter, but its service has since expanded to Facebook pages as well. Using it is pretty simple. Just go to the main homepage and type in the Facebook page you want to track in real-time and Keyhole will then develop reports for competitive analysis, fanbase growth, posting schedules, and more. It will even send you automated reports at fixed intervals, earning it a spot on our list of the best Facebook analytics tools. 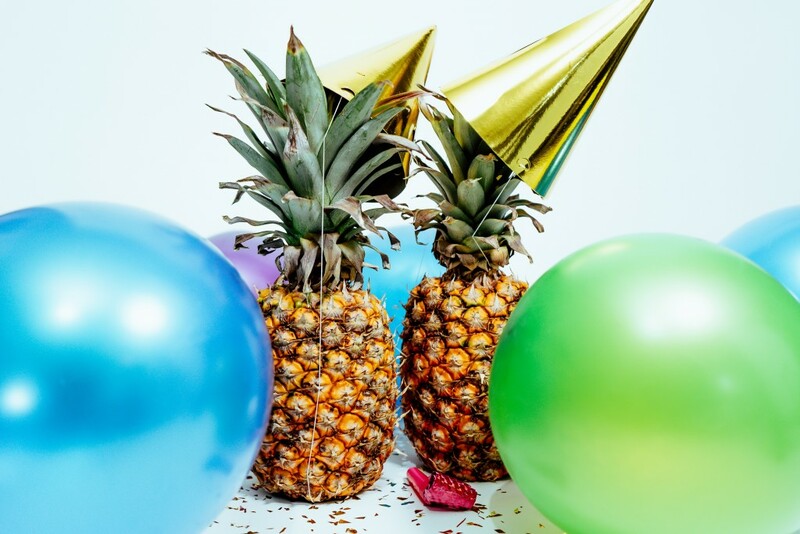 If you only want simple, no-fuss reporting for your Facebook metrics and other social media accounts, Peakfeed is a good candidate for our list of the best Facebook analytics tools. 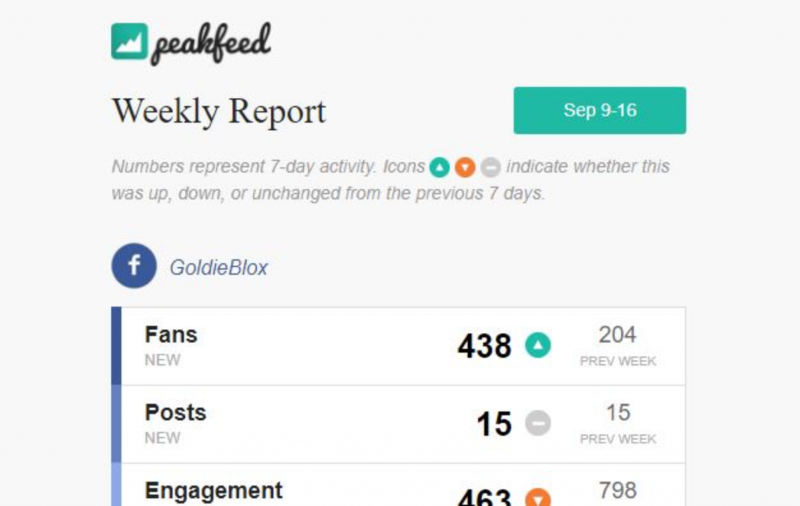 Peakfeed takes basic metrics for all its connected social media accounts and assembles them into one well-formatted email report. This report is sent out weekly and focuses on key statistics for each account. Executives get a bird’s-eye view into their social media profiles in a convenient, no-nonsense fashion.